LC series of centrifugal water chillers substituted CFC centrifugal water chiller according to China to phase out the ozone-depleting substance in the national program. 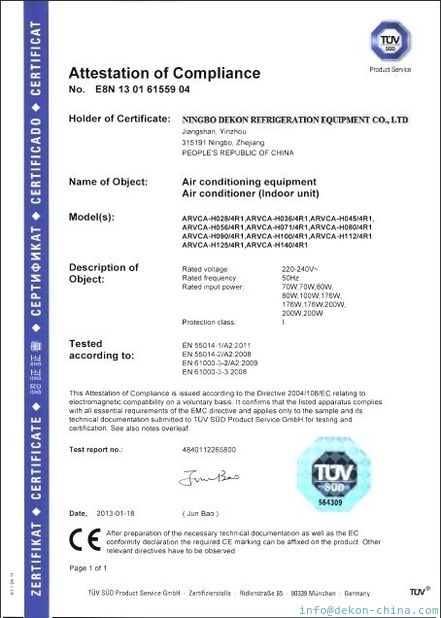 The technology is from NREC. In 1999, the first chiller sample LC170H-6P centrifugal water chiller developed and passed the approval and used in Qinshan Nuclear Power Station. LCS series dual-stage closed-type centrifugal water chiller is the high efficiency products using environmentally-friendly R134a as the refrigerant. 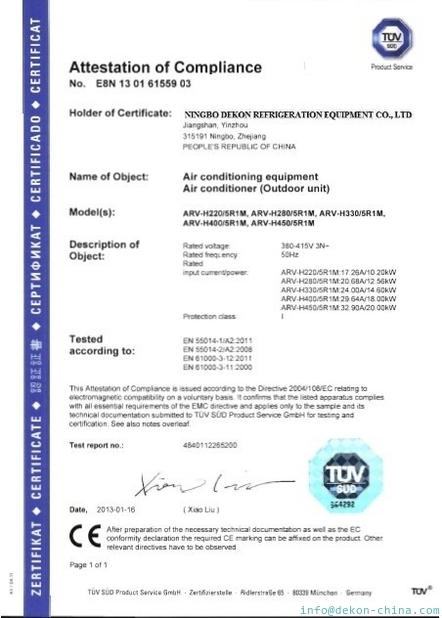 The standards of the design, manufacture and test conform to GB/T18430.1-2001,vapour compression cycle water chiller (heat pump) for industrial and commercial industry. 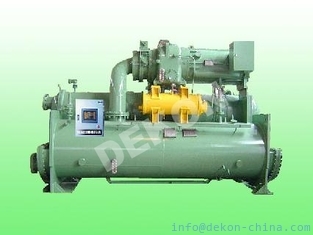 Similar standard of water chiller (heat pump) and JB 4750, pressure vessel for refrigeration equipment. LC/LCS centrifugal water chillers combine environmentally-friendly HFC-134a as refrigerant, high efficiency 3D impeller designed by centrifugal compressor software from NREC with self-developed new generation heat exchanger. The chillers feature high efficiency, advanced microprocessor, reliable operation, long service life, wide cooling capacity control, low noise level, smooth operation, good seal, small floor space, convenient installation and transportation. We can specially design to meet the requirements of the clients if the leaving chilled water is below 7oC. Application: LC/LCS chillers can be used for large center air conditioning system and industrial refrigeration application. The cooling capacity of LCS chillers is larger, so it is also used for industrial refrigeration and ice storage etc. except center air conditioning system.